​"Sometimes, all it takes is just ONE PRAYER to change everything." Our Youth Group meets every Friday night 7-9 here at the church. When the hall is available, we play games such as soccer, badminton, flashlight tag, mantracker and more. We also do baking, crafts, watch movies, etc. The youth have a good time together and often come up with interesting activities on their own. All youth are welcome; free of charge and are encouraged to bring friends. We are blessed to have such a wonderful group of teens and we are thankful for this great church that welcomes and nurtures us while providing a safe place to build community, friendships and faith. The youth will present a Live Drama of the Passion of Jesus on Friday, April 7 at 7:30 in the Church. Please join us along with the combined choirs as we honor God's greatest gift to us, The Life, Death and the Resurrection of Jesus…. ​we see the results. All of the participants experience the living Jesus in a powerful way during the encounter and many will have a life changing transformation. In 2005, Jenna went to the conference in Maine not sure if she even believed in God or Jesus and came back filled with the Holy Spirit. She got confirmed the following year, began volunteering with the Jr High Program and continued to do so until she started university. She attended several more conferences encouraging many others to come as well. She worked as the DRE for Jr. High part time while getting a Law Degree and now works for Chalice. Clearly, Jesus spoke to her that weekend and her life was never the same. Daniel Perera, is another one of those stories. He didn't really want to go the first time. I encouraged him and he did and what happened from there is remarkable. He began working with the youth and our music ministry. He has developed a great prayer life and is a very positive role model for the rest of our youth. The following year he went to LEAD which is a week long Leadership Development Program right before theconference. The skills he learned there he has brought back to our church and to others in the form of Retreats, praise and worship nights and a deeper commitment to our Youth Ministry. Several other youth here have seen the changes in Danny and are drawn to the Love, Peace, Joy and acceptance that comes with walking with the Lord. Maria and Gael , after having attended the Steubenville conference last year have volunteered as part of our leadership team on Sunday nights and have both applied to attend the LEAD week with this summer's rally. Several youth over the years have come back from Steubenville renewed in their faith and committed to helping with Sunday School, youth group, service projects, music ministry and other community service outside the church. It is clear this is a worthwhile investment of our time and resources. Words alone cannot express how grateful I am for the tremendous support you have always extended to our youth and I know God will continue to bless this work. As a means to thank all of you and thank God, the youth will present a Live Drama of the Passion of Jesus on Friday, April 7 at 7:30 in the Church. Please join us along with the combined choirs as we honor God's greatest gift to us, The Life, Death and the Resurrection of Jesus…. Here's another testimony on how amazing someone's LEAD experience was... Click the link below. 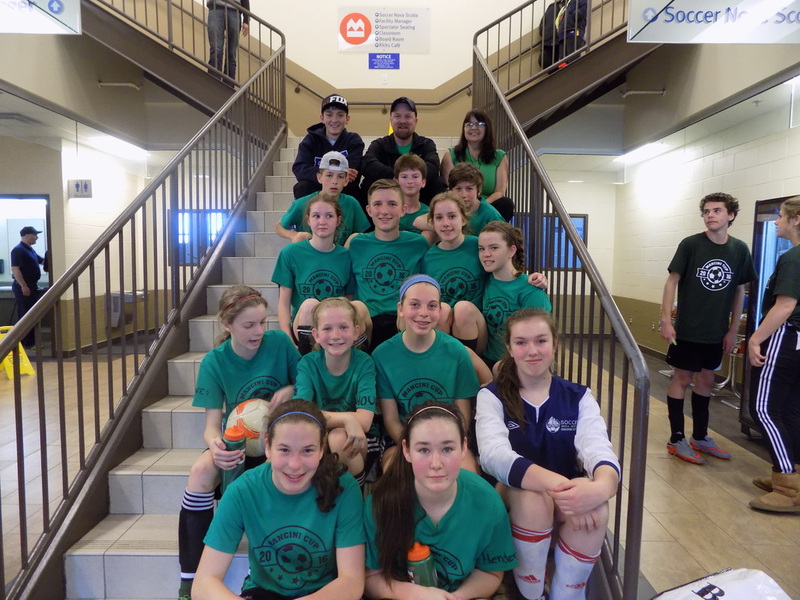 On Saturday, April 30th 2016, 13 of our youth participated in the Mancini Cup Soccer Tournament along with 13 other Jr. High and 5 High school teams from area churches. They played 3 games, which determined the top 4 teams. They had a wonderful day of Fun and Fellowship and are already planning to go again next year. I want to extend a special thank you to the dedicated, young adults who came out to coach and get the team ready. The Steubenville Youth Conferences, an outreach of Franciscan University of Steubenville, are a series of 21 conferences across North America that bring 50,000 teens and their leaders closer to Christ ever summer. Their mission is to build the Church by evangelizing youth and their leaders and invite them to embrace the heart and mission of the Catholic Church. 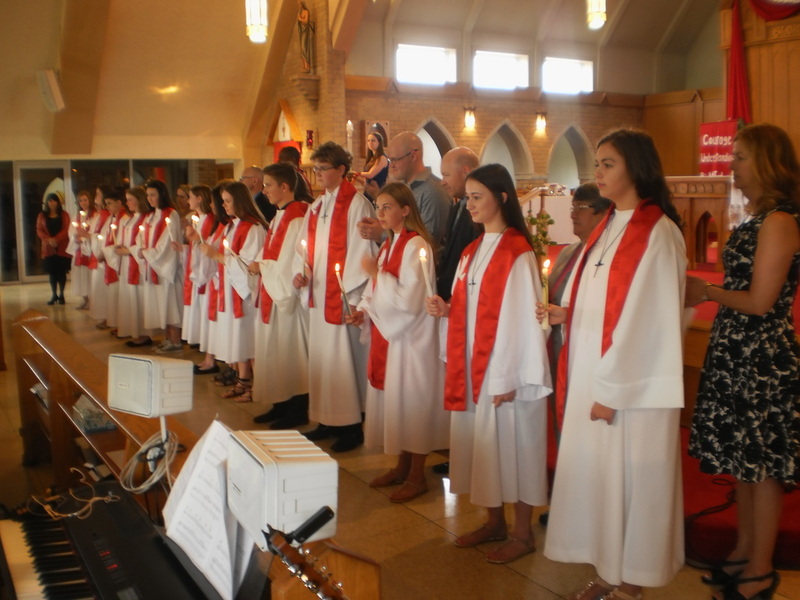 Steubenville Atlantic, Canada's first Steubenville Youth Confernece, is presented in partnership with the Archdiocese of Halifax-Yarmouth and the Franciscan University of Steubenville. The event is held annually in Halifax, Nova Scotia. The 2017 conference dates are July 7-9, 2017. This summer they will be celebrating their eleventh Steubenville Conference in Atlantic Canada. Join us in Halifax July 7-9, 2017 for an unforgettable weekend filled with fun, friends, and faith! The theme of this year’s conference is ELEVATE. Steubenville Youth Conference Promo Video -Atlantic 2017 "ELEVATE "
Lord God, no one is a stranger to you and no one is ever far from your loving care. In your mercy and kindness watch over refugees and victims of war, those separated from their loved ones, young people who are lost and those who have left home or who have run away from home. Bring them back safely to the place where they long to be and help us always to show your kindness to strangers and to all in need, we ask this through our Lord Jesus Christ, Amen.